Inventory processes involving stochastic uncertainty, especially with respect to the input (demand)process, can be discussed by considering various characteristics relative to the state of knowledge about the input. An inventory system of particular interest is that considered by Scarf. 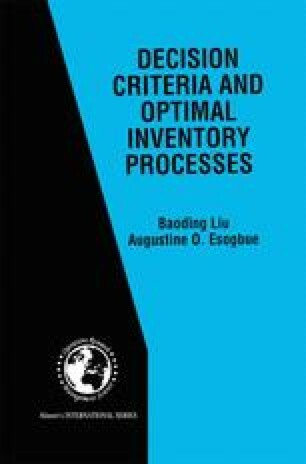 Specifically, Scarf develops a methodology for the optimal analysis of an inventory system in which the demand distributions contain an unknown statistical parameter. It was assumed that, initially, this parameter could be described by a prior distribution which could be subsequently revised on the basis of additional demand information. In other words, a Bayesian approach is employed to deal with this type of uncertainty about the demand process.